The NBA has gained worldwide popularity with its high-flying stars and slam-dunking giants, but the early professional hoops game was played below the rim. 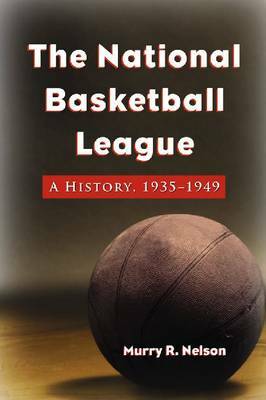 This book provides the first history of the National Basketball League, which held court from the mid - 1930s until its merger with the Basketball Association of America in 1949. Originally formed in Akron and Indianapolis, the league operated mainly in the Midwest but extended as far east as Rochester and Syracuse and west to Denver, building major franchises with hometown loyalties. Most of its stars were college graduates, a major change from previous professional leagues, and it was the first modern major professional league to integrate. Features include photographs, maps of league franchises, and tables of team standings, MVPs, and scoring leaders.